Using IPhone or IPAD and also a serious forex trader. Then here is good news for your Metatrader 5 platform is now available for download for IPAD and Iphone users. 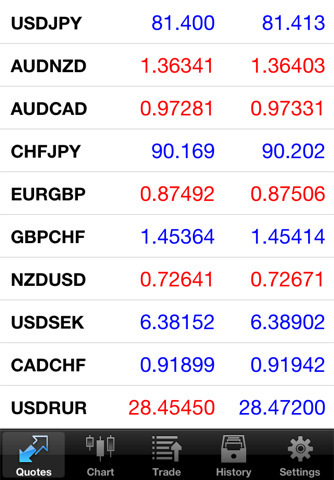 The Metatrader 5 app is available for iPhone, iPod and iPad. Now everyone can take advantage of the freedom of mobile forex and CFD trading – the terminal can be downloaded free from AppStore. 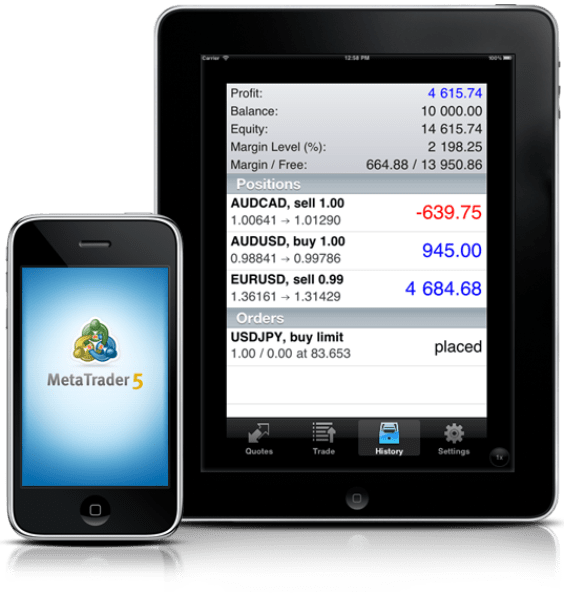 With MetaTrader 5 for iPhone, you can trade, monitor your account and stay up-to-date with financial information 24 hours a day. With the mobile terminal, trading in the financial markets is available at anytime from anywhere in the world. MetaTrader 5 Mobile offers the user-friendly interface and wide variety of features. i need a metatreader for ipad 2 and android selephon. Request some info about the MT4 installation on i pad/android tabs. Does the indicators work in these tabs? Can we put custom indicators(made for MT4) in these tabs? Is this applicable to stock market trading specially Philippine stock market?